Finally, Justification for Buying Starbucks? I confess. I have an addiction. I love coffee, especially Starbucks coffee. I feel guilty spending so much money on it. I rarely buy the drinks in the coffee shops (unless I'm meeting friends). But I buy it by the pound for my morning coffee maker at home. I carry it with me backpacking and everywhere I travel. 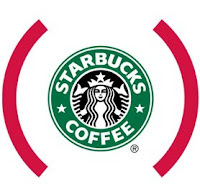 So, I was pleased to learn that Starbucks is teaming up with my hero, Bono, on a new initiative to combat AIDs in Africa. "Here we are, talking about the economy tanking. People are saying, 'Maybe the world doesn't need more coffee houses.' And what do you do? What does Starbucks do? You decide to give your money away," said Bono to his star-struck audience. "This is not charity. This is commerce." In a press statement, Starbucks discussed the new initiative as framing "our commitment to doing business responsibly, our ability to use our scale as a catalyst of doing good, for our framers, our customers, our planet at large." "If every single Starbucks customer bought one (RED) Holiday Exclusive (beverage) for a week, we would save 15,000 lives for a year in Africa," said Starbucks Senior Vice President Michelle Gass. I found this picture on Paul Luikart's blog. In March of this year Breakthrough moved our men's services from the Edgewater community on the north side of Chicago to the East Garfield Park community on Chicago's west side. While we enjoyed a wonderful 16 year stay within the facilites of the First Evangelical Free Church, we were growing and needed more space that was better designed for the dignity of our homeless guests. We are very happy to be in our new building. Unfortunately, our exit from the Edgewater community, along with the closing of several other shelters there, is causing a bit of a crisis for the homeless that want to remain on the north side. Here's an article about it. I have gotten several calls from journalists asking why we left. It made sense for us organizationally to move all of our services into one community. We were serving women at our Breakthrough Joshua Center in East Garfield Park and it was challenging to build staff camaraderie when we were in two very different communities. Beyond that though, we did try to find space in Edgewater both when we opened our women's center in 2000 and when we knew we needed to relocate our facility to serve men in 2004. On both occasions we faced two obstacles - the high cost of securing a site in a neighborhood where property values had appreciated beyond what we thought we could afford, and NIMBYism (Not In My Back Yard) from the community. Aldermen in the community let us know that they would have a difficult time convincing neighbors to accept a homeless service center in the areas we targeted. Eventually we found space on the west side that we could afford and Alderman Burnett supported us at a community meeting saying, "Other communities don't want homeless services in their neighborhoods. If we don't help our people who will?" The neighbors accepted us because they recognized the need for the services we offer. I'm concerned that communities like Andersonville, Edgewater and Uptown are trying to make the homeless problem go away by edging out services. The result? Many who could be assisted into stable housing will continue to roam the streets and sleep under bridges and along the lake front. This will be a very cold winter for the homeless if they continue to get the cold shoulder from those communities. I look forward to seeing many of you at the Christian Community Development Conference in Miami this week. I am doing a plenary message and a workshop. Please pray for me! Dr. Amy Sherman, who has written several great books and articles about urban ministry, sent me a couple of links that provide resources for urban practitioners. The first is FASTEN (Faith and Service Technical Education Network). The second is a link to Amy's web site entitled, the Center on Faith in Communities. I highly recommend her devotional guide entitled, Sharing God's Heart for the Poor. We have used the book as gifts for our donors. It is beautifully written. Race Relations -- Better or Worse? Click here to learn more about the event. All are invited. Here's a link to an interesting article in the New York Times entitled, Racism Without Racists by columnist Nicholas Kristoff. He writes, "a careful survey completed last month by Stanford University, with The Associated Press and Yahoo, suggested that Mr. Obama’s support would be about six percentage points higher if he were white." 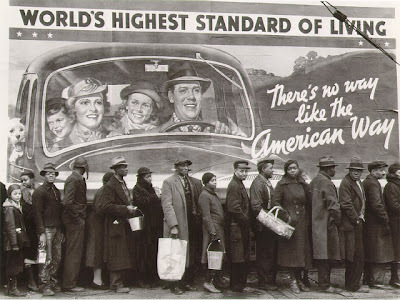 Many whites and even blacks would not consider themselves to be racist, yet they discriminate unconsciously. This is called "aversive racism". Here's what the apostle Paul told young Timothy, "Instruct those who are rich in this present world not to be conceited or to fix their hope on the uncertainty of riches, but on God, who richly supplies us with all things to enjoy." (1 Timothy 6:17) Great words for us today!